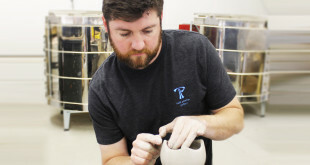 I define myself as an artist and craftsman, a creator of useful and beautiful ceramic pots. It is my desire to make items for everyday living, while adding a touch of quality and beauty in the home. 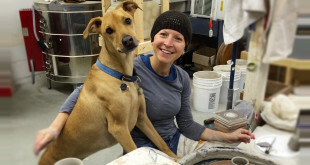 The foundation of my training is in production pottery. I generate large quantities of work, generally throwing a particular item in runs of 30 or more. I start with an idea for the shape, make the group of pots, and assess what was successful (or not). I then incorporate improvements into the next round of work; I want each series of pots to be better than the last. I pride myself on craftsmanship, with particular focus on continuous lines. 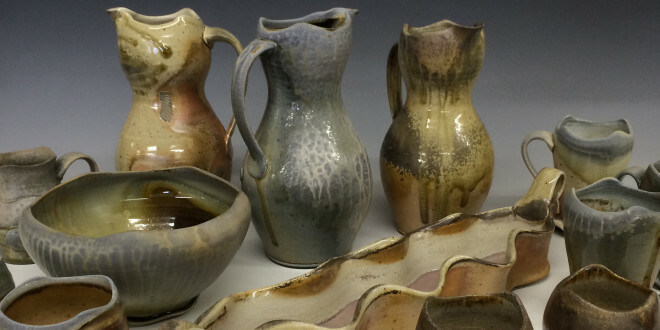 My goal is to create pots that are balanced and comfortable to use with an emphasis on fluid movement of shape. I want the eye to move along the lines of the entire piece. In particular, this is executed through the motion of the rim and foot. While most of my work is finished in cone 5 oxidation firings, my favorite work is fired in wood kilns. The flames travel through the kiln in a flowing path that compliments the lines of my pots. I consider my pieces as a canvas on which the flames and ash leave their mark. It is this combination of graceful lines in the clay and flame that represents my best offerings.